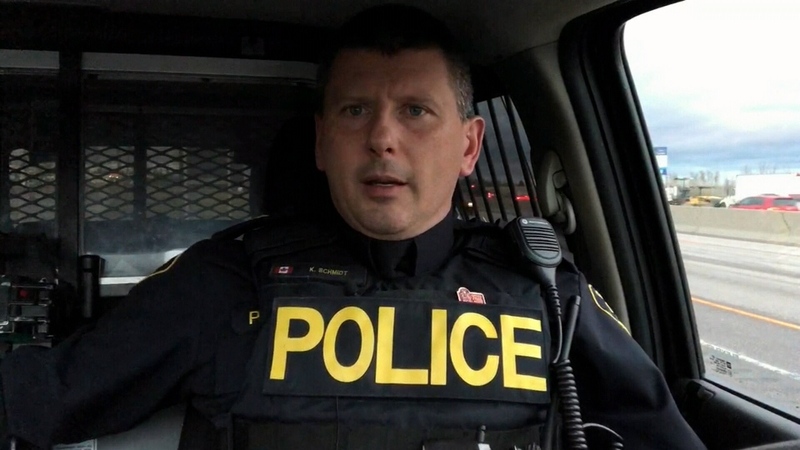 Ontario Provincial Police are warning drivers after startling number of wrong-way drivers were reported in the month of October. OPP say between Oct. 5 and Nov. 5, officers responded to 25 reports of a vehicle travelling the wrong way. Five of those resulted in collisions, and two of those crashes left two people dead. "It's absolutely devastating when you have two vehicles closing in at one another, head-on at highway speeds," said OPP Sgt. Kerry Schmidt. According to OPP, there have been 207 reported wrong-way vehicles so far this year, a sharp increase from last year’s total of 182. Schmidt says vehicles travelling the right direction have almost no opportunity to respond. “By the time they realize there’s a car coming towards them in their lane, it’s almost impossible,” Schmidt said. OPP are reminding drivers to pay full attention to the road and highway signage. Drivers who see a car travelling the wrong direction are urged to safely pull over and call 911 with as many details as possible. Twelve charges were laid in the five collisions, including two charges of driving while ability impaired by alcohol and drugs.